On a cold and blustery day, I headed south to North Bank Ranch. 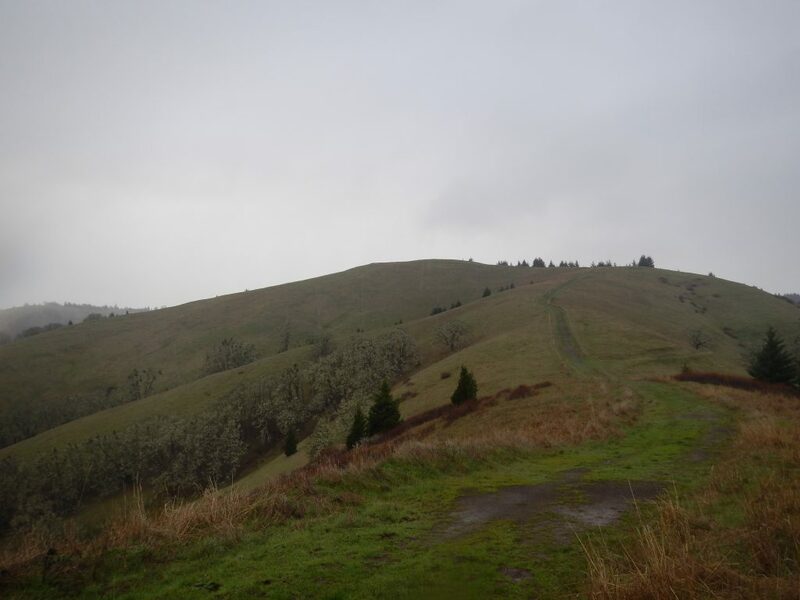 It’s hike #1 in William Sullivan’s 100 Hikes in Southern Oregon (the purple book). I followed the directions for the 6.9-mile loop. Not a soul to be seen all day. At the trailhead, I was greeted by an unusual sign on a rusty barrel: “NBHMA DEER KIDNEY SAMPLES.” Awesome! I hoped it wasn’t deer season. Funny, seeing as how this was set aside as a preserve for deer. Lure them in and then shoot them, I guess. I don’t know how this hunting thing works. The hike began through meadows surrounded by oak trees. The open meadows offered no protection from the strong winds blowing across the landscape. They did, however, provide dramatic views over the green, grassy hills. The air was thick with clouds and drizzle. Beads of water coated everything in sight, including my glasses. So much for sight. I climbed up and over South Knob, then Middle Knob, which were just bumps on a ridge. Then I descended into a forest. The trail followed an old road, which was very muddy and rutted. I slipped and slid downhill, my boots and outerwear completely soaked. The vegetation was pretty. So much green! Moss, Oregon Grape, other stuff I couldn’t identify. 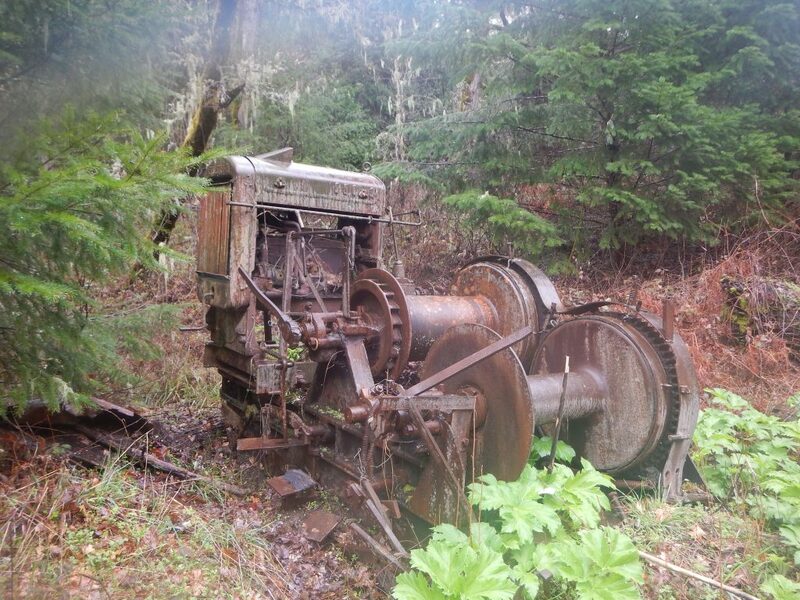 There was some old farm equipment positioned just so along the trail. And a cute little stream: Chasm Creek, which had water today but was noted as seasonal. The weather was far from perfect, but I had a nice little walk in solitude, with a beautiful backdrop and some real spring conditions. Not a bad way to spend a day, even if it did involve lots of driving! 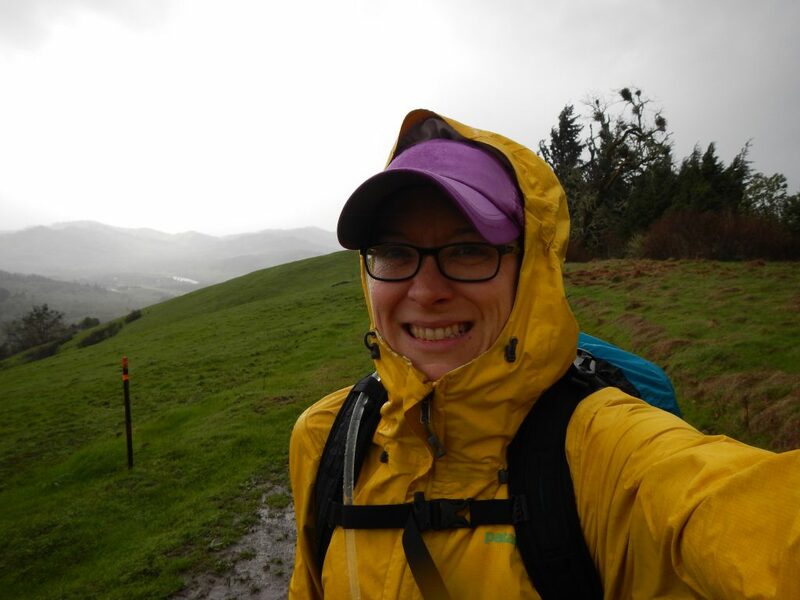 This entry was posted in Hiking, Oregon and tagged hike366 on March 13, 2016 by Jess B.